The Animal Health Foundation would like to share the news that laminitis research funded by the charity is now available for review by donors and potential donors through a publication grant by the British Equine Veterinary Association (BEVA) Foundation in Great Britain. BEVA's Equine Veterinary Journal (EVJ) is giving the public open (free) access to a collection of important new research papers on equine laminitis, including studies by American and Australian researchers supported by the Animal Health Foundation. Normally, non-subscriber access to these articles would be as much as US$40 per view, per article. The papers include practical advice as well as the latest research. Professor Celia Marr, BVMS, MVM, PhD, DEIM, DipECEIM, MRCVS, and editor of the EVJ explains: “In view of the growing public interest in high quality science, there is increasing demand for easy, open access to journal articles via the internet, particularly on topics such as laminitis. The EVJ laminitis virtual issue, comprising 15 original research articles on topics including the role of insulin, the effects of cryotherapy and the regulation of epidermal stem cells in affected horses, is available at http://onlinelibrary.wiley.com/journal/10.1001/%28ISSN%292042-3306/homepage/laminitis__recent_advances_and_future_directions.htm. In addition, the issue contains several articles from international experts commissioned by the EVJ on important aspects of laminitis including causes, treatment, prevention and future research projects. Contributors to this special issue include world-leading equine veterinary and research experts on the subject of laminitis: James Belknap, Ray Geor, Samuel Black, James A. Orsini from the USA, Andrew van Eps, Melody De Laat, Martin Sillence and Chris Pollitt from Australia and Nicola Menzies-Gow from the UK. Subjects covered include the present state and future of laminitis research, endocrinological aspects of the pathophysiology of equine laminitis, sepsis-related laminitis, supporting limb laminitis and progress towards effective prevention and therapy for laminitis. The EVJ has a long history of promoting laminitis research. 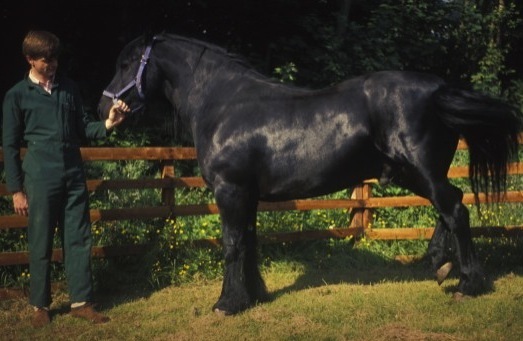 In 2004, the publication produced a special issue dedicated to laminitis and since that time significant numbers of articles on laminitis have been published every year.